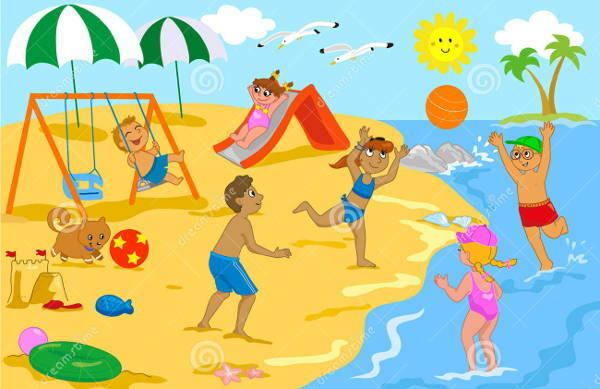 That is why we have gathered the best beach clipart available so you can use them to remind you of your beach adventures with your family. You can also use them if you’re making a scrapbook of an all-out shindig with your friends. Scroll down and take your pick. You can also see our Palm Tree Cliparts listing. All of the clip arts that have made our list can be used for a variety of purposes. 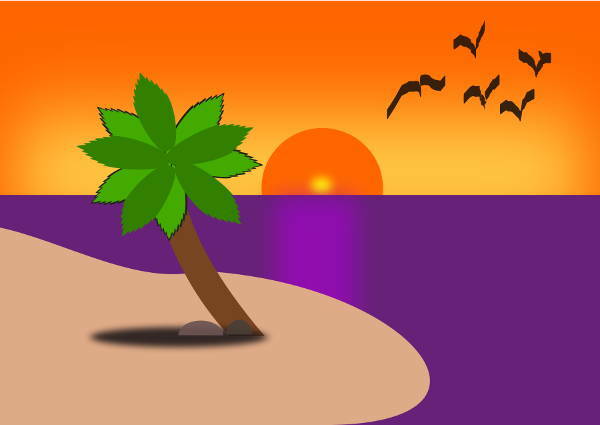 What Are Our Beach Clip Arts? Black and White Beach Clip Art. The Black and White Beach Clipart is a vector with a family-oriented theme. The preference of pencil or pen marker for this image brings about a less-is-more approach. Take a look at this rare scene of children playing together in relative harmony as they are building a sand castle. 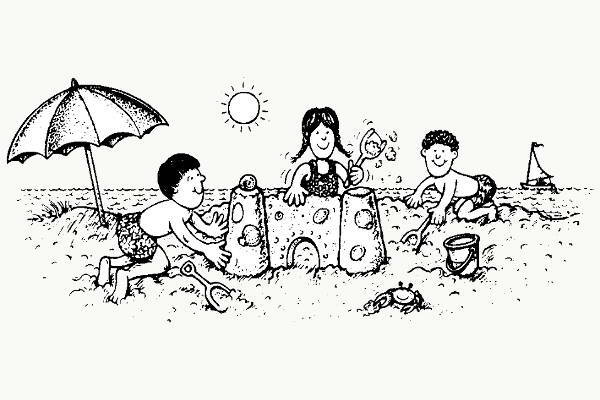 Beach Hut Clip Art. 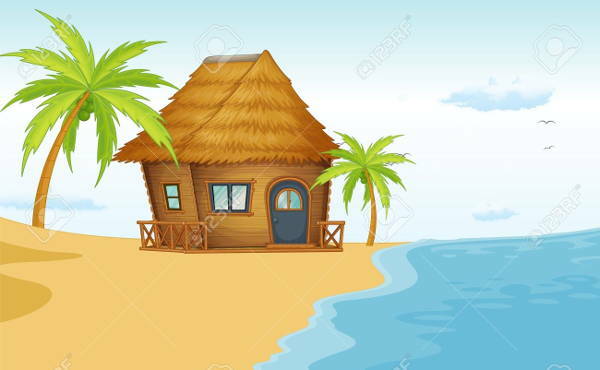 The Beach Hut Clipart gives you a cozy island vibe. It features clear pristine waters, the sun shining up high in the sky, birds flying freely in the distance, and a solidly built nipa hut. 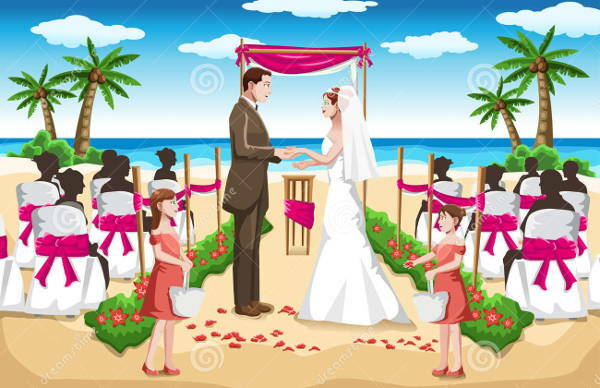 Animated Beach Clip Art. 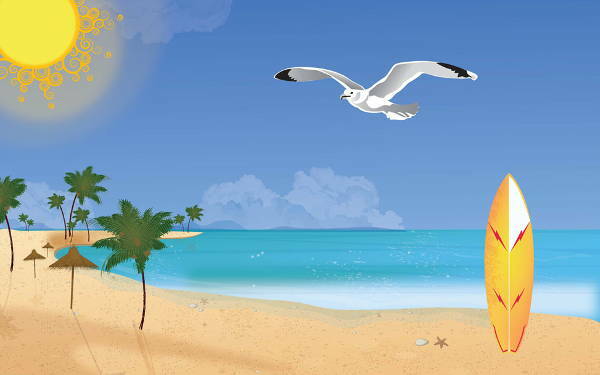 If you are looking for a movable banner ad, then pick the Animated Beach Clip Art. 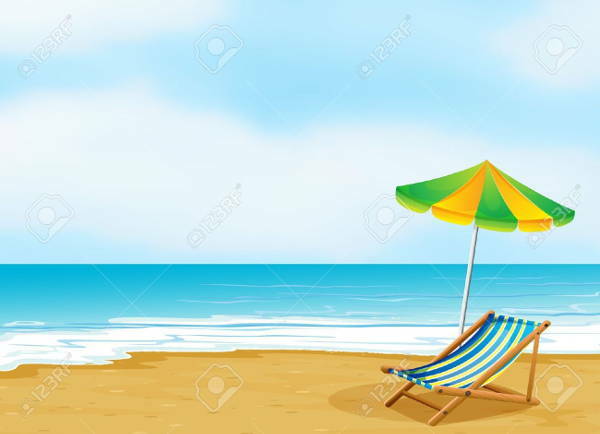 This particular image shows a blonde cozily lying on a lazy boy beach chair. If you want to boost your brand awareness online then you can use any of these compiled images. You can also see our Cartoon Cliparts listing. 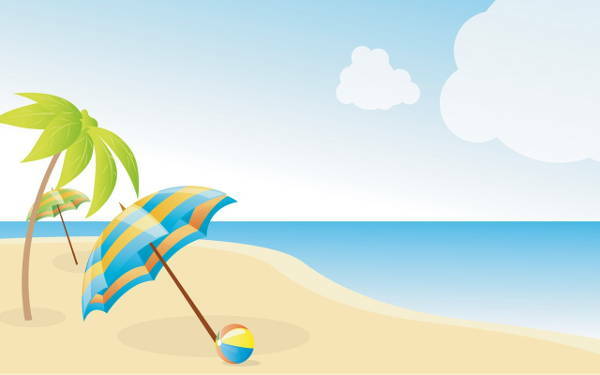 How Can You Use These Beach Clip Arts Effectively? 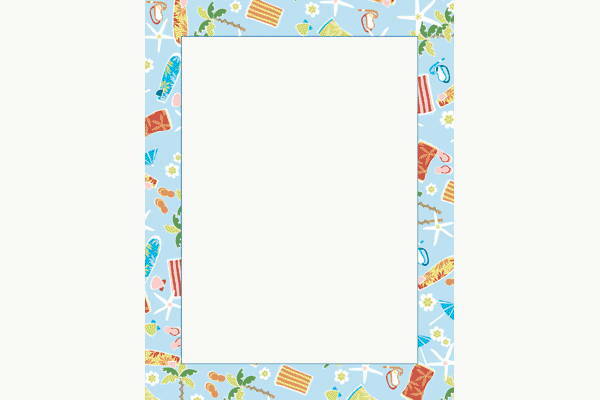 What Are The Other Uses For These Beach Clip Arts? Whatever the need is, we guarantee one thing. All of these images are free and can easily be downloaded. If you have finish scrolling down, why don’t you take a pick! 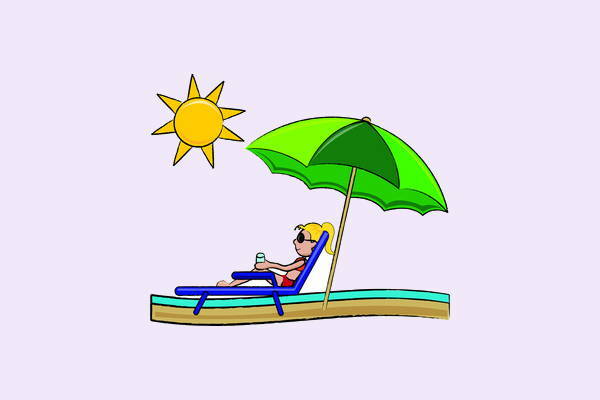 You can also see our Sun Clip Art Designs listing.